A swimmer at age 5 and a runner at age 12. Ian Tovell has completed a full Ironman in under 12 hours, several half Ironmans and hundreds of races over the years including 10 Half Marathons and 6 Marathons. Last year he set the course record at Peaks to Portland, swimming 2.4 miles in under an hour. "Because he's a beast." Meet Ian, our newest Mindbosa brand ambassador. What keeps you going? What are you the most passionate about today at age 29? That is a great question. Sometimes I ask myself the same thing, why do I keep doing these things. I think when it comes down to it what keeps me going is trying to push myself to the limits both physically and mentally every single day. That is why I continue to do races whether it be a 5k, marathon or even Ironman competitions as I believe I can always improve and get faster. Over the past 15 years, I keep finding new things that keep my love for competition strong. Currently, running is what I am most focused on right now and am working to qualify for the Boston Marathon this fall at either the Chicago Marathon or the Dublin Marathon. 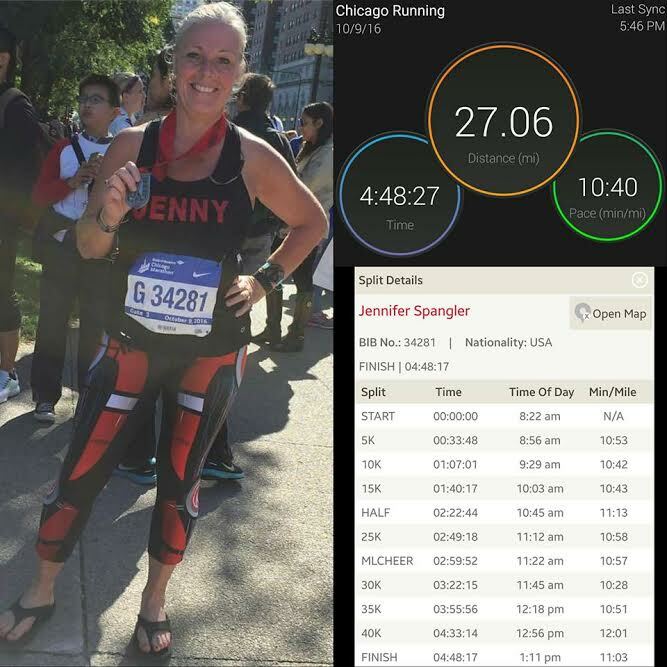 I am fortunate enough to be raising money for St. Jude's Children Hospital for the Chicago Marathon. My fundraising page can be found below. What opportunities has being an athlete provided you? I think being an athlete opens a ton of opportunities no matter what level you are competing at. Personally, some of my closest, lifelong friends are people I have met through sports whether in High School or during my college career as a D1 runner and triathlete. In addition to the people you meet along the way, being an athlete has taught me a lot about discipline and helped me focus more in school and be a better person and a better student. Being an athlete also prepared me for failure and taught me how to be adaptable which I have been able to take into my professional life. The other opportunity being an athlete has provided me is that I have had the chance to travel all over the world including places like Austria, Finland, Germany, Brazil, and other amazing countries. Being an athlete has molded me into the person I am today and is a big part of my personality. I don’t think I would change anything about my experience. 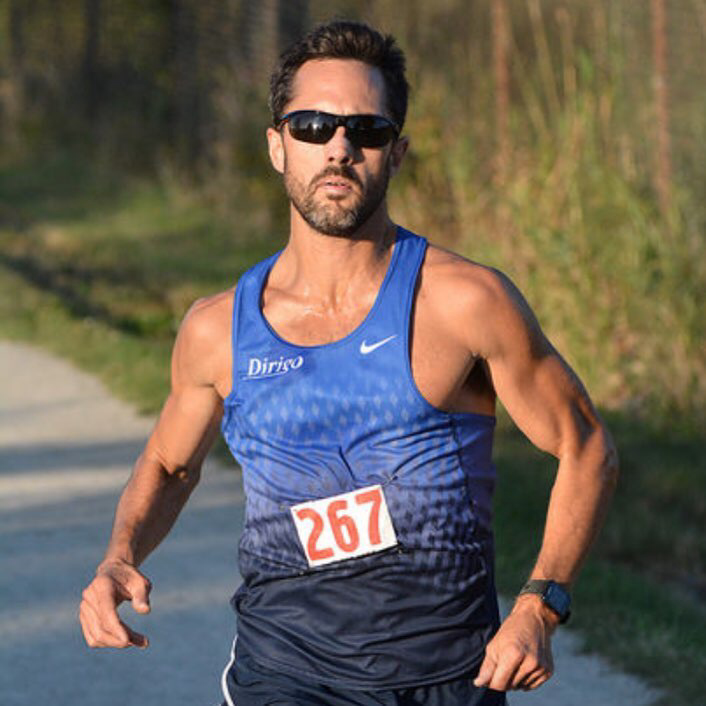 I-Tri Performance is my personal running coaching site I started about a year ago. I started my business in response for a few friends looking for running help and training plans for specific races they were doing. I wanted to give back to the running community and try to help people who need someone to hold them accountable or just need a little more guidance with their training plan. If you or someone you know needs some guidance or a customized plan, feel free to check out my site and plans. How has running affected your relationships with family, friends, and community? Running has had a significant impact on me and everyone that is in my life. Running has shaped me into the person I am today and has given me the opportunity to meet so many awesome people. 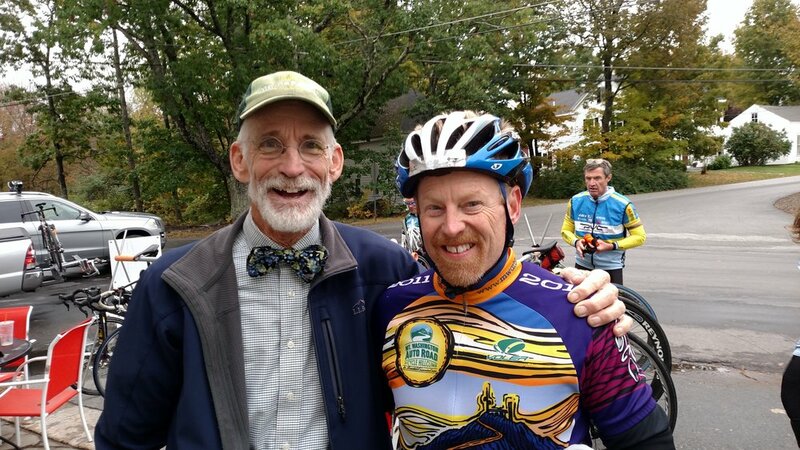 It has helped me engage with the local Maine community and foster new relationships with those who share my passion for competition. Training takes up a lot of time, and without the support of my friends and family, I wouldn’t have been able to put in as much time as I do. Being part of the running community has been a great privilege, as everyone is so supportive of each other. In one word, Ashley best describes Ian as "Authentic." What's a hurdle you've overcome? What lessons did you learn and can you share advice for someone experiencing something similar? I have been fortunate enough throughout my athletic career as I have never had a serious hurdle I have had to overcome as others have. But I think every athlete no matter what level you are at you go through peaks and valleys when it comes to physical and mental motivation and health. The real struggle is when you are in a valley how are you going to get through it and make it to the other side to enjoy the peak that we all love. After I completed an Ironman last August, I have been in a constant valley when it comes to both mental and physical strength. I have not had the motivation to get out and train at the level I was, and mentally I felt drained. I couldn’t figure out what was wrong with me since a huge part of my identity is being an athlete. But it is this time where mental toughness takes over, and you need to remind yourself you are going to get through this and make it to the other side. The way I dealt with the valley was to dial back and fall back in love with training and racing by doing different workouts that were fun. The main thing I focused on was not to put pressure on myself to train or get that workout done, by doing this I was able to enjoy everything I was doing and start to have fun with training again. I think if I had any advice for someone going through something similar is that this time will pass and you will get through the low point. You need to stay strong and find ways to make training fun and new because if you keep pounding the pavement, you will lose yourself and lose the love of the sport. I think Ian forgot to mention this hurdle! Ouch! Is having a daily routine and setting goals vital to you? Yeah, I think it is very vital for me to have a routine and a goal I am working towards. By having a daily routine, I can make sure I am giving enough time to my training as well as my personal and professional life. I keep a calendar of everything I have to do that week to make sure I do not over schedule myself or get involved in too many things. By following a written calendar, it holds me accountable and serves as a daily reminder of my goals. I try to make sure I go to bed at the same time as well as get up at the same time to get my body in a routine. As far as goals, I think goals are essential to have not just in athletics but in your life as a whole. I think we always need to be setting goals, so we push ourselves to be better, and if we accomplish one goal, we set another one. For me, goals have helped me become a better overall person and has helped me achieve a lot of my athletic and professional goals. Many people associate running with not being able to breathe. Would you say running has allowed you to breathe easier in everyday life? Running for me is my release, it is my happy place. If I ever have a bad day, I am angry, sad, etc., running helps keep my head clear and think my thoughts out. I can’t tell you how many times I have made major decisions while out running. Running has become part of my daily routine, and if I miss running a few days in a row, I start to get very anxious until I go out for a run, and then all my worries and nerves go away. Running has given me the ability to “breathe” and deal with everyday stresses. Do you have a mantra you repeat during training or racing? It is funny I don’t think I have one go to saying that I go to, but there are many things I think about while I am training or racing. It usually is an upbeat song, something that has a good beat to keep me distracted and to give me a good pattern to run or bike to. When I swim, it tends to be internally singing 'Staying Alive' by the Bee Gees because it gives me a good pace for my arms to be moving. It's important for me when I am working out to try to stay relaxed as possible and let my brain go wherever it needs to. A lot of my thinking comes when I am training, and usually near the end of a tough workout, my mantra usually is something along the lines of, “just get to the next telephone pole,” then repeat that until I am done with the training. Aside from being a competitive athlete, you are the Director of Program Management at Propel. How did you get involved with Propel and what does your current role include? Do you have any upcoming events I can share? I found out about Propel on accident. I am active on Linkedin and connect with people all the time, and one of my connections wrote how she was leaving Propel and how it was such a great organization. So, I started to look into what Propel was, and I connected with the mission and wanted to be involved. I reached out to the President and got involved right away. My current role for Propel is Director of Program Management, and what I do is help make sure all our programs have the resources they need to be successful and we as a group, are putting on events to engage the community and young professionals. We have a great event coming up called Ignition Awards on June 28 at Tiqa. This is our event of the year recognizing great businesses all throughout Maine. We have various awards we give out based on nominations from the public. At Propel, we believe Maine is a great state to start a business, and we get to see all the small and large awesome businesses that are helping Maine grow and thrive. Some of the categories are Hustler of the Year, Growth Stimulation Award, and our newest award Young Entrepreneur of the Year. PROPEL’s Mission is to help businesses and young professionals thrive in Maine through member engagement and uniting organizations. What is the next checkmark on your bucket list? At this point, it is hard to know, but I think the next thing I want to accomplish after I qualify for the Boston Marathon would be doing an ultramarathon preferably on the trail. I think I will start with a 50k and work my way up to a 100k. What is your favorite "can't live without it" app you use and why? My favorite app I always need to have is my TrainingPeaks app because without it I would not know what workouts I should be doing and where my fitness is currently. What is your favorite motivational/inspirational quote? Did you enjoy this blog feature? Please help by entering your email and sharing this story. We can use technology and social media for greater good and make a positive difference in the world we coexist. Thank you for reading. Every Dollars Counts! Help Ian with his mission to qualify for Boston and raise money for St. Jude's Children Hospital. Get Connected on Social Media! 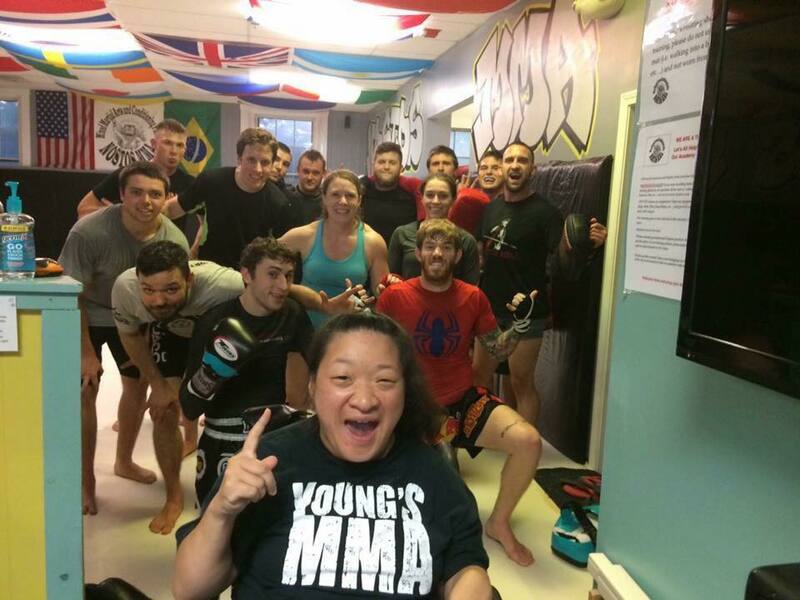 When did you first start Mixed Martial Arts classes and how has it changed your life? I started training during the summer of 2015. It has absolutely increased my dexterity, muscle movement, confidence social skills and how to live a healthy lifestyle. Do you have a mentor or someone you look up to and admire? I look up to my Heavenly Father, my parents, Coach Young, Ernie Fitch, Bruce Boyington, Aaron Lacey, my Personal Trainer, Scott Kahkonen, Hal Pierce, Ryan Sanders, Glenn Cugno, Dustin Veinott and Raymond Wood. These people have been angels to my life who often remind me that I am loved, that it’s okay to be myself and that I can do anything that I put my mind towards with ultimate courage and determination. Without them and their loving guidance, I wouldn’t be the warrior I am today. They have given me the guidelines to not only be a better warrior but to be a better person. I’m inspired by each and every person to love and cherish life and to love with all of my heart. What is your biggest goal and how will you achieve it? My current goal right now and it has been my ultimate goal ever since February 2015 when I first saw Josh Harvey fight and the return of Raymond Wood at New England Fights in Lewiston, Maine was when I knew that I wanted to be a fighter. With my faith in God’s hand in it and continue to do my training every week, I have faith that I will someday get to the NEF cage. What is the greatest struggle you've overcome and what lesson has this taught you? I’ve struggled with my cerebral palsy disability, as well as depression and anxiety. It certainly hasn’t been an easy life with people not understanding how to be around or how to deal with a person who has a physical disability which is absolutely understandable for people who don't particularly have one. Anxiety in social settings is another one. Cerebral palsy affects my speech, and it’s often a challenge for people to understand me when I talk. So, talking to people in person or through the phone can make me really uncomfortable. But thank you to my friends and coaches within the mixed martial arts community, I’ve learned to slowly overcome that with my training at the gym and socializing with a lot of extremely friendly fighters on social media. I’ve certainly learned not to let my cerebral palsy, depression and anxiety get the best of me because I know that I have a ton of love and support that will always be there. Can you share a single piece of advice to encourage others dealing with life's hardships? 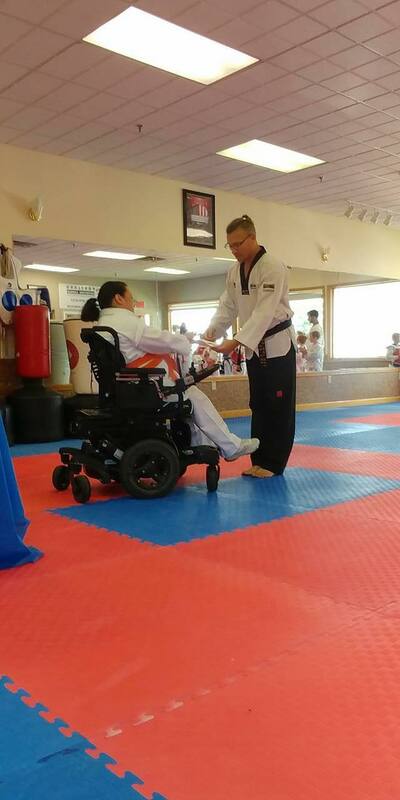 I would advise anyone who has any disability or not, to not let anyone tell you that you cannot do anything because you can and stay determined to follow your dreams. What is something uniquely Rose not many people know about you, perhaps not even your family and friends? What people might not already know about me, would be that I’m actually a shy person, lol. Aside from fighting and training what things do you enjoy doing? Aside from going to fights and training, I love going to the movies and occasionally play video games. What is one message I can repeatedly share with the world on your behalf? Don’t bully and disrespect people who have disabilities. They have dreams and feelings just like anyone else. Follow Rose, "Little Samurai" on FACEBOOK! 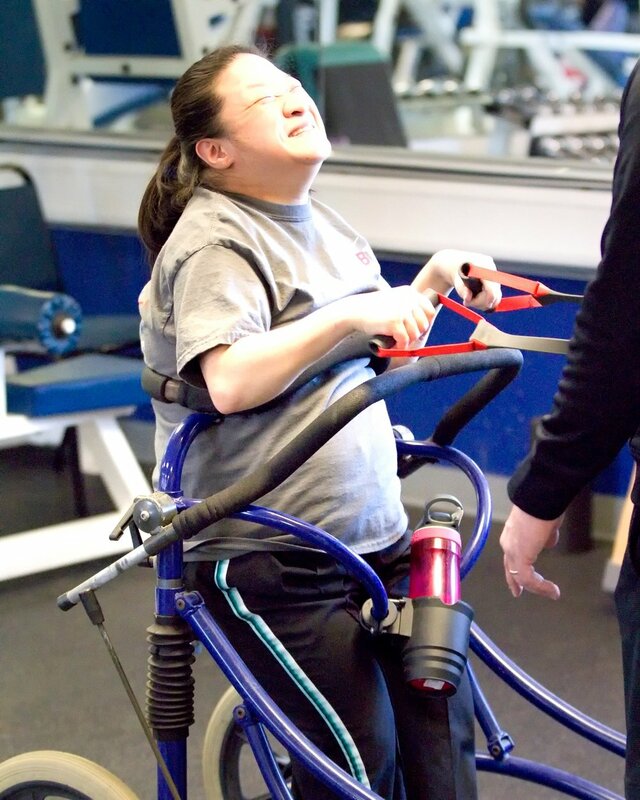 Help share Rose's message by sharing this blog. Your nickname is Bruce 'Pretty Boy' Boyington. Who gave you that name? My nickname came from my Coach, Christopher Young of Young's MMA. I'd go into training showered and looking all "pretty" and tanned up. I was different than everyone else without the raggedy clothes on to train. Every time I walked in the first words out of his mouth were "What's up pretty boy....."
How did you first get involved in Martial Arts & furthermore MMA? I started Taekwondo at a very young age, and I've never stopped, I think I was seven. I've had many amazing experiences with Taekwondo. Many of us including my friend, Jessica Nolette would travel together to nationals, state tournaments and all throughout the country competing and training. I continued to do it right up until I went in the Marine Corps. I started experimenting with grappling and other martial arts, and I ended up becoming a martial arts instructor for the Marine Corps. It was at that time I realized mixed martial arts might be better suited for my body. As much as I love Taekwondo, it was a sport, favorable to tall, skinny people with length. I felt like I was naturally, a good wrestler and grappler. When I got out of the Marine Corps, someone approached me and asked me if I wanted to take a fight against former Olympian Rick Hawn. He was undefeated at the time and went on to be a multiple division Bellator Tournament Champion. I jumped all over that opportunity, traveled to The Cape in Massachusetts, and took to fight. Even though I lost, I was hooked. I've been doing it professionally for 10 years since then. What does it mean (for you) to be a professional fighter? To be a professional fighter isn't as important as being a father and good husband. I don't want this taken out of context. I love professional fighting, and it's been an incredible passion for me that's changed the course of my life and created more opportunity than I could ever imagine. But, when I rank it as far as significance or what it means to me, it has to come second to my family and friends. It is an unmatched journey in this world, and I am forever grateful. How have martial arts impacted your life and where do you think you would be right now, without it? Martial arts, as I stated above has forever changed the azimuth of my life. Martial arts shaped and molded me from a young age. Although there was always more room for discipline, I don't want to know where I'd be without the structure taught to me. Most of all it gave me a network of lifelong friends and opportunities to travel the world. I've visited Russia and fought in Madison Square Garden, the world's most famous arena. Being a martial artist has become a way of life and who I am. Follow your passion and your fate will be decided. What is one challenge and lesson you've learned from your training? Most people don't know this, but I have a titanium plate in my neck. I've had two neck surgeries, so it's pretty hard not to mention that as far as lessons learned in training. You have to protect your body as a martial artist and think about longevity. I've also learned you must make time and the commitment to training. If you're in-and-out of the sport and back-and-forth on your training, the results will be a reflection. How important is having a daily routine? I've found without a routine I was on a roller coaster ride. Between being a martial artist and in the United States Marines, there's a lot of daily routine and planning happening. With having a big family, other jobs and businesses, it's critical to get your routine in sync. Otherwise, you end up drowning in it, and I've been there as well. I have three proudest moments, the first is traveling to Russia and headlining a fight there. It was like a real Rocky versus Drago story. The second is getting the opportunity to compete doing what I love in the world's most famous arena. This experience was a very proud moment. The third is receiving my black belt in Taekwondo because I think it's what catapulted me to experience the other two. My favorite kick is either a spinning hook or back kick. Without a doubt, I like anything that has a spin on it. If I could have one dream fight with anyone, this is pretty easy, because I've always wanted to fight with Connor McGregor. I've always found him to be a lot like myself in life and to some extent how we fight. I always thought that would be a fun matchup. I'm reasonably sure it will never happen because he has put himself in a wonderful position. What is your favorite inspirational/motivational quote? I have so many favorite quotes but the most simple and basic one stays with me all the time, and that is, "Life is what you make it." It's forward thinking and relevant to everyone. It's very true. People create their destiny in their mindset. Question! Did you enjoy reading this blog? Sign Up For Mindbsoa -- FREE! How has living an active and healthy lifestyle affected your relationships with family, friends, and community? 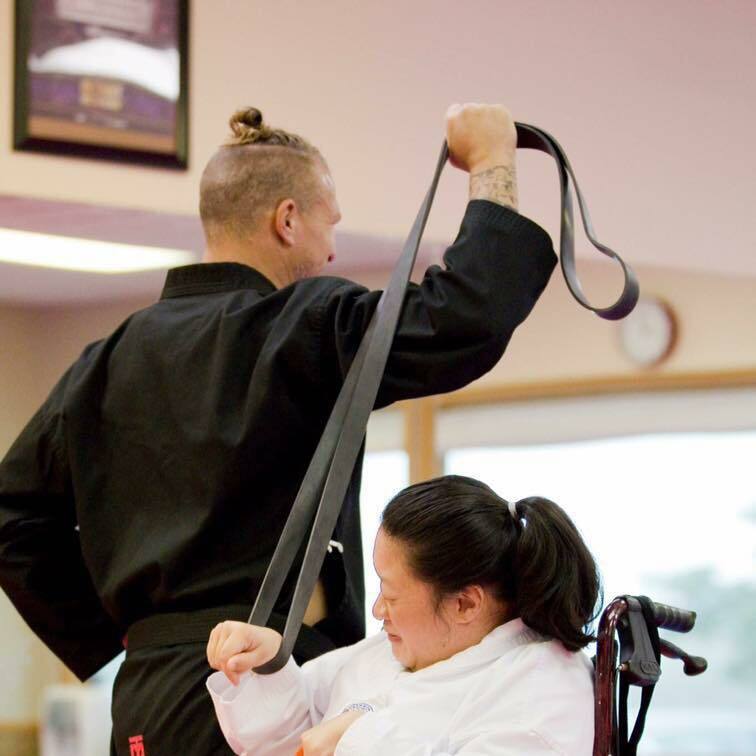 Living an active lifestyle has inspired many relationships and has helped them thrive. Those around me know that health is important, but I preach having a balance (sure, let’s go get a burger but be prepared to walk home afterward). I also come from a very active family, so my closest relationships maintain a lifestyle much like my own. And because health is as much mental as it is physical, I make sure to keep good people around me who improve my mood. For me, it just doesn’t make sense to hang out with energy drainers. Life is too short, so I’m going to live it as best as I can and share it with only the best. I’m not fancy when it comes to this. I believe you must make it a lifestyle. If something is important to you, you’ll make the time for it. Trust me, this is important. There’s no better time to start than right now. What kind of clients do you train? I’ll train anyone who wants to be better and get stronger, but who is ready to commit to those goals. That’s really all I ask of people. The clients I have now are incredible – they inspire me to be better. They’re a solid mix of individuals who have different levels of fitness, who have different careers, who come from different cultures, and who have different goals. What unites them are their goals of getting stronger, giving maximum effort at every session and improving every day through the power of fitness. I train out of a private studio, Philly Phitness. It’s located in the Rittenhouse area of Philadelphia, PA. Anyone who has a chance to talk to me knows how much I adore my family. I’m the youngest so I have older siblings and a great set of parents to look up to, and I could name about 1,000 other role models! But I’ve been so fortunate to have my best friend, Perry O’Hearn, as my mentor in this industry. Perry has a unique way of pushing me, and he knows how to motivate me to be better with business and inspired with learning through all aspects of my life. Trainers and clients are not always a good fit. What advice would you give someone trying to find the best trainer that matches their goals? I believe a trainer should always adjust to the client’s goals, but it takes work on both sides of the equation for the trainer and the client to stay committed to the end. In my experience, the most important part is the bond formed between the client and trainer, it allows for trust and honesty and elevates the experience and likelihood for success. "This is Rita and me. Common in our sessions to share a laugh (or lots of laughs)!" How important is having a daily routine and setting goals? We all have a daily routine, but we don’t always have goals. Complacency is more common than we think, and that is no way to live. You deserve better, we all deserve better. So, once you figure out the goal you’re striving for, your daily routine will have to adjust. It’s that simple and not that simple all at the same time. But if it’s important to you, you’ll find a way to make it happen. If it’s not important, you’ll make an excuse and nothing will change. If you could have a training session with anyone in the world, who would it be with and why? Jane Fonda, the Queen of Fitness. I’m sure I would learn so much from her! I'd like to share one message with the world on your behalf, what should I share? Never miss the opportunity to help another person. What Superhero power do you identify with? Without a doubt, Wonder Woman. DID YOU LIKE THIS BLOG? BECOME A PART OF OUR MINDFUL, GOAL-SETTING COMMUNITY. Personal Trainer. Lifestyle Coach. Lover of life. Would you like to suggest someone for our Blog? In many of my blogs, I've mentioned hardships in life becoming blessings in personal growth and achievement. Can you tell us about your diagnosis of MS and how it's lead you to run marathons and advocacy? I was diagnosed with MS in February 2011 when I was about 214 pounds. My husband Jason and I were in the depths of fertility treatments, and I was in a state of depression with our struggle to become parents. Between the fertility treatments, depression, and eating, I was a mess. Then boom. I found out I had MS. It started with pain in my left eye, to which I ignored for weeks. Then, I woke up one day with numbness and tingling on the left side (head, arm, leg) of my body. I couldn't get into visit my family doctor, so I saw his nurse practitioner. I assumed I would just be given a steroid pack and be on my merry way but she insisted on an emergency MRI, to which, I obliged. I had the MRI at 11 am that Friday morning and by 4:07 pm on the same Friday my doctor's office called and on the other end was my doctor's voice. He asked me if I was driving, to which I said, no. He asked if I was home alone, to which I said, yes. He asked me to sit down, to which, I did not. I paced the living room for what seemed was hours and was only second's. At that point, he informed me I had the diagnosis of Multiple Sclerosis. I was SO proud of myself. A former client of mine emailed me in November of 2014 to try to get a spot on the National MS Team to run the NYC Half Marathon. I basically, laughed. I thought to myself how adorable she was to EVEN think I could ever do such a long run. I wrote my story and never expected to ever hear from anyone about it. A few weeks later I received an email saying I was on the team and it changed my life. Can you give us a brief background about MS? What is it and how many people are affected by this disease? Multiple Sclerosis is an unpredictable, often disabling disease of the central nervous system that disrupts the flow of information within the brain, and between the brain and body. It's referred to as the "snowflake" disease because no two people with MS are alike with their symptoms. It affects around 400,000 people in the US and mostly women. How has this experience positively affected your relationship with your family, friends, and community? I only spent a few days feeling sad for myself. I stayed off the internet and instead bought books to help educate my family and myself. The internet can be a very dark, depressive place. I was adamant about not using the internet to research a disease I knew nothing about, and I had. The diagnosis changed me! It's important to state it changed me for the better. My family and friends have become my support system. They have helped raise awareness, money and lifted me up when I sometimes feel down. Our son was born after the diagnosis, so MS is what he knows of me and he will never recall a time I didn't have it. Since he was a baby he's gone to MS Walks with me. I speak to him often about MS so he is never scared. He knows he can come to me with any questions today, or any day, no matter how old he is. He's excited to go to Cleveland Clinic with me in May for a follow-up visit so he can meet the doctors and infusion nurses who take care of his mommy. It's important to me he understands what happens when I leave town for treatment and is never scared. My community is amazing. They refer to me as "Mighty Misti!" Many people have reached out to me with their own stories. Most of all, my community truly cares about me, and that in itself inspires me. When did you realize you wanted to advocate for MS and share your personal story with others? It was shortly after my diagnosis that I knew I wanted to advocate and share my story. My heart told me this was something that was important and I listened. Seven years later, I wouldn't change a thing. I have raised money, awareness and advocation is my new passion. I have gotten to tell my story to MS doctors and MS researchers at Cleveland Clinic. The same people who work tirelessly on a cure have heard me speak, and that makes everything come full circle. Aside from running, what are some of your other passions? Besides running, I am an adoption advocate as well. I also work very hard to incorporate exercise into my daily routine. I have learned the importance of food choices for myself and family. I lost 50 pounds. I live a fairly clean life of eating, juicing and exercising. "Trust me when I say #anythingispossible you just have to start!" Of course, my number one passion is our 5-year-old son, Maxin. I think he has inspired me the most. I want him to know that no matter the hand you are dealt, you get to decide what you make of it. He sees me run long distances, tackle spartan races and thinks I'm a total superhero. All the while, he's the real superhero. He doesn't remember I have MS every day, just on days I feel extra sick and pats my head and brings me ice packs. The truest of love from a 5-year-old. What is your next race on the horizon and how can our readers support your cause? My next race is the Boston Marathon on April 16th. I am on the National MS Team, and readers can go to this link here to donate. It sure would be appreciated. How important is goal setting for you? Goal setting is tremendously important to me. It seriously gets me out of bed in the morning. It offers me a structure that I crave. Everyone should have a goal no matter how big or small. What is your proudest personal and professional accomplishment? My proudest personal accomplishment is when we adopted Maxin at birth. We have an amazing adoption story that is forever ours. Also, when I completed The NYC Half Marathon and The NYC Marathon, both in 2015. "The day I said I did it. The day I said I will never give up and I will never quit. Where memories of pain, turned into memories of a goal I was out to obtain. It took more physical and mental strength and training than I could have ever imagined. I hit physical and emotional walls I never knew existed but when I crossed that finish line, I became 1% of the worlds population and that moment is why I wanted to start training again!" "My proudest professional accomplishment would probably be when I was voted top 40 under 40 business professional's in the state of West Virginia. Not many people know sometimes, I can be consumed with anxiety. It is never a great place to be. Also, after losing 50 pounds, I am definitely harder on myself and my body image. I'd like to share a message with the world on your behalf, what should I share? Did you enjoy this blog? Become a part of our mindful, goal-setting community. 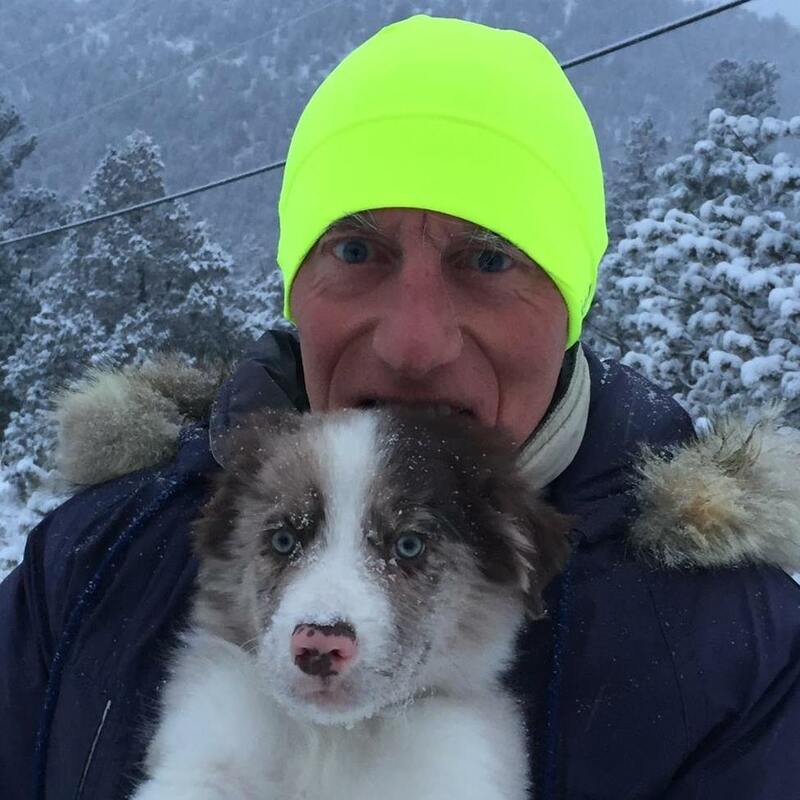 Terry is a running coach and life coach and is also the owner of Active at Altitude, in addition to, being a director, member, training partner and facilitator for The US Trail Running Conference & the Official Training Partner for Vacation Races. 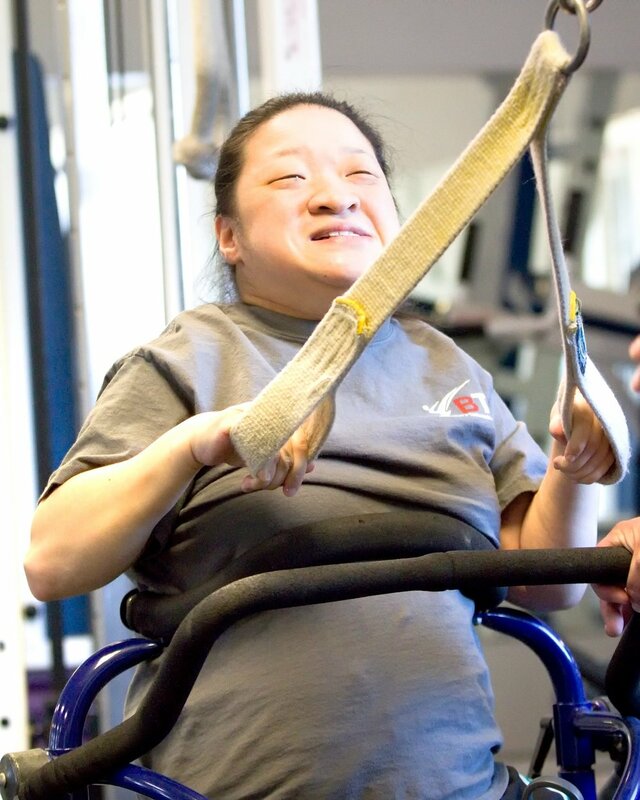 Over the years, Terry has become an ambassador for healthy living. activacuity (his latest development) is not just for runners, but for all performance athletes seeking to enhance their focus, confidence, and experience. Thanks to, LinkedIn, I was able to connect with Terry, who lives in Colorado. We shared personal stories about our history, struggles, and experiences. Terry is a remarkable individual with whom I couldn't be more grateful to connect and share his story. I think the universe is telling me I need to make a trip to The Rockies! What does living in the present mean to you and where might you be today, without running in your life? Living in the present has been a journey with various stopping and learning points along the way. Currently, one of the strongest determining factors for me is to be able to be living in gratitude. If I'm not able to be aware of how grateful I am for this moment, then I am likely being pulled to either the past or the future. Without running I would be somewhere very different. Possibly still in England, and working a corporate job and having my heart broken each day by what I was missing! Can you give us a bit of your running and entrepreneurial history? I like to think I have been running all my life... my parents never had a car growing up in London, so I ran or biked everywhere for many many years. I just loved to run, that feeling of letting my legs fly and seeing just how fast I could go...ran shorter distances on grass at primary school (English version of Elementary) and loved the excitement of competition, and the feeling of winning. At grammar school (English equivalent of high school), I ran 100 yards and 220 yards on cinders and grass tracks. I also played football and rugby, and cricket, altho that was soo boring! Up until the age of around 15, I had won every race that I entered. Then the other guys started developing more power, and my lean physique was no match for that in sprints, so I started losing...I still enjoyed running, while competition didn't have the same glow as it used to. Work - spent many years in the automotive industry in different positions. Love driving, and looking after cars. My last corporate role before we moved to Colorado was a business development executive, a sales guy for a vehicle finance company. Taught me a ton about sales, that has been really useful as an entrepreneur! Active at Altitude - we have five adult running camps scheduled for 2018. I am the Camp Director and main coach for the camps, that all take place in majestic Estes Park, Colorado, with runs from 7,500 feet to over 12,000 feet! Each of our camps includes information on Lydiard training principles, following the guidelines laid down by Arthur Lydiard, the most successful running coach in history. Our beginner women's running camp in June, and co-ed Spring trail running camp in May are both sold out, breaking records by selling out by the beginning of January! 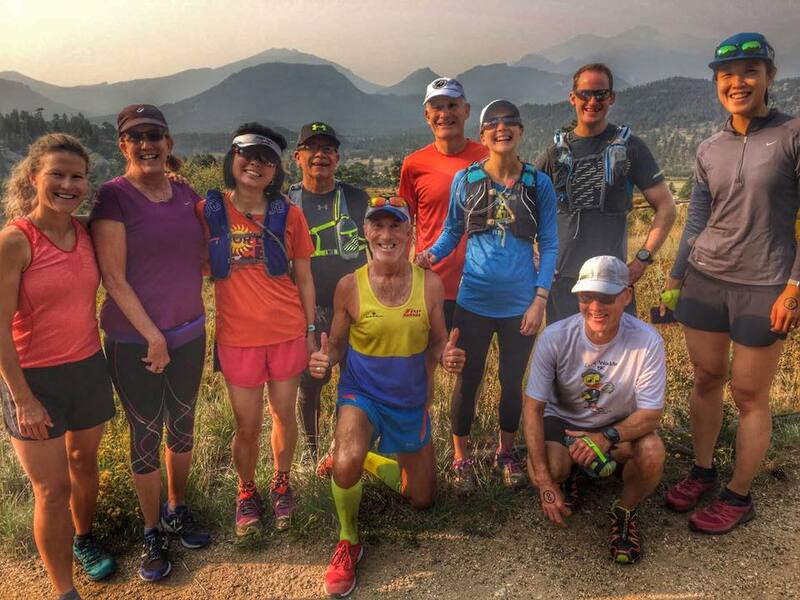 We have places available for our advanced women's running camp in July, our intermediate women's running camp in August, and our co-ed Fall trail running camp in September. Our women's running camps have been featured in Runners World, Women's Running, and by Shape Magazine as a "once in a lifetime fitness retreat for women." Our trail running camps have also been featured in Trail Runner Magazine and Competitor, and by CNN as one of the top eleven adult running camps in the US. "I learned so much that week of camp: The proper way to do speed drills on the track, how to run tempo runs, hill sprints, and proper strengthening exercises (my favorite activity was running in water). I learned about goal setting and doing positive imagery exercises before runs. All of these lessons made me a stronger runner physically and mentally. But the biggest surprise for me that week was a newfound excitement and energy for running. For many years I was tied to a training schedule, and the only thing I focused on was completing my weekly mileage. Although I love building up mileage and seeing my fitness improve, I was tired of that routine and knew I needed to change my methods. US Trail Running Conference - moving outside of Colorado for the first time in its six-year history, this industry-leading Conference connects and empowers race directors, trail runners, and trade leaders, and works to share best practices with the trail running community. I am the Event Director and own the Conference brand. This year's Conference takes place August 29-31 in San Luis Obispo, CA, and registration is open for all trail race directors, trail runners, sponsors, and exhibitors, and includes a discounted entry offer for any of the SLO Ultra races on September 1, 2018. This year the US Trail Running Conference is seeking to be the first sport-related Conference to be awarded a certification from the Council for Responsible Sport for the 2018 event, in partnership with Ragnar Events. The Conference is also held in partnership with the American Trail Running Association, and Race SLO. activacuity - is about to launch the new website and a targeted marketing campaign! Tell us about your latest development, activacuity. It's a mental training app for athletes. Uses a combination of proven sports science techniques and neural techniques to generate new positive ways of thinking. It's a very powerful tool and one I am super excited about. Have had glowing responses from athletes and coaches so far. "Terry Chiplin & Melody Fairchild introduce activacuity, the first guided imagery app for athletes. The app gives short daily sessions for enhanced focus, confidence & performance for athletes of all abilities." My wife and I had been meditating on a regular basis using an app called Headspace. Really enjoyed learning about meditation, and then one day during a meditation, my mind was quiet, absolute peace, nothing happening. Have no idea how long I was in that place... then I heard a voice, and the voice said, you are going to do an app, and you know exactly what to do.... when the meditation finished, it was amazing. I had not thought of creating an app before, yet I did know exactly what to do as if it had been in my mind in some way all the time. It was very surreal, and sublime, at the same time. Do you believe in coincidence and/or cosmic connections? I believe that we have choices every moment of every day and that there are connections open to us no matter which choice we make. Do you believe our inner world shapes our outer world? Or, does our outer world shape our inner world? Inner world comes first. It took me a while to realize it, however, my experiences have taught me that how we see ourselves, and our place in the world has a huge impact on the world we experience. Thoughts become things! What is one challenge and lesson you've learned from your experience as a founder, owner, and coach? Challenge - to not be taken off course by every opportunity that is presented. Learned - do not assume you know the best way to move forward, or help someone else to move forward. Be open to moments that show me that we always have choices. Aside from running, what do you like to do outside of work that directly impacts your career? I like to be outdoors and connect with mother nature. I always feel energized and connected when I am outdoors. I also love cooking and eating - I once had a teenage female runner ask me what I eat for a treat... I considered, and answered, everything I eat is a treat, as it all nourishes and fuels me. Crucial, while it's also good to give space to allow the universe to come in. What is one invaluable resource that has helped in the growth and development of Active at Altitude, activacuity and your current projects? Thinking that I matter, that I have a place in this world that only I can fulfill. Can you give a piece of advice for someone who thinks meditation is an impossible practice for them? To be awarded a Bachelor of Science degree from DeMontfort University, Bedford, England after three years of study. it was an amazing time to be there as a mature student and felt like a sponge, I just could not get enough! What do you look forward to the most in 2018? To growing the brands that I have created and to do my best to make a difference to more lives in this world. I would LOVE to share repeatedly 1 message to the world, on your behalf, what should I share? Thoughts become things, and that we are not hardwired, we can create new ways of thinking. Did you enjoy this blog? Enter your email to receive future blog updates from My Mindful Motivation. Humble, to say the least. Kelly Ramos took her first swim lesson hours after completing her first marathon. I reached out to Kelly about featuring her in this blog. She was unsure if her story was inspiring. You tell me? You spoke of living an unhealthy lifestyle up until 12 years ago. What was your turning point and where would you be today without your transformation? I started smoking cigarettes at a young age. I quit when I became pregnant with my daughter, but then resumed the habit about a year after having her. I didn't quit again until I became pregnant with my son 9 years later. My athletic journey began with an effort to lose a few pounds after having my son. I started walking on the treadmill at the gym in our apartment complex. When the walking became too easy, I started to jog. Bored of jogging on the treadmill, I sought out the track team at the company where I worked. I started attending practices with them and began to run outside on a regular basis. That's when running officially became my new addiction and I knew there was no going back. Had I not stepped on that treadmill, I fear that I would have resorted back to the unhealthy lifestyle I led before. This journey has enabled me to discover and showcase positive traits that I never knew I possessed. I have also made some amazing friends who I may have never met had it not been for this transformation. You qualified for the Boston Marathon your 1st Marathon (The Maine Marathon). At what point did you realize "I am good at this"? Would you say you are a natural born runner and athlete? Growing up in England, the school I attended didn't have a huge sports program. We had our annual sports day and it was always my favourite day out of the school year. I fared well in the running events, but outside of that day I never did any running, so I really had no clue what my running potential could be. I ran a Boston qualifying time back in 2010 at my first and only marathon thus far. Running a qualifier was not my goal, I just wanted to finish feeling good. I managed to accomplish both, so I was thrilled. I know they've changed the timing standards since then to make it a little bit more difficult to qualify. But that's okay. I plan on running a qualifier again sometime in the near future! In 2006 I ran my first 5K. I went by myself, ran it and went straight home. Later that week I received a certificate in the mail saying I had won 1st place in my age group. I couldn't believe it. That was the day I thought to myself that I might be okay at this running business. I don't necessarily consider myself to be a natural born athlete. I have to work hard at it and like most people; I definitely have days where I struggle. A smile and a wave from the shoreline start at Tri For a Cure. From not knowing how to swim to completing 2 Half Ironman Competitions. Can you talk about this journey? I could doggy paddle my way the length of the pool but that was the extent of my swimming skills. I signed up for adult swim lessons and had my first lesson the same day I completed my first marathon. Learning to swim as an adult is no easy task. Even though I was in good shape with all of the running I was doing, I felt like the most out of shape person when I was in the pool. It took a lot of patience and perseverance, but one day it all came together. Although slow, I was able to swim the 1/3 mile comfortably without stopping. The next challenge was to overcome my fear of open water swimming. My first open water experience and first time wearing a wetsuit was at a swim clinic I signed up for a few weeks before the Tri. The second I stepped into the ocean the cold water took my breath away and I immediately knew that this was going to be very different from swimming in the pool. As I headed for the first buoy I was not able to put my face in the water. I flipped onto my back, waves started going over my face and I began to swallow some water. I was feeling extremely fatigued, but the fatigue I was experiencing didn't correspond with the effort I was exerting. Luckily my friend was right by me and she started to side stroke beside me. A person in a kayak asked if I wanted help getting back to shore. I refused. I had to finish by myself. When I finally made it back to shore I could barely catch my breath. I instantly developed a cough with a coinciding rattling in my chest and started to cough up pink foam. My husband took me to the emergency room where they whisked me past the crowded waiting room after taking my vitals and seeing how low my oxygen levels were. I had a chest x-ray and was put on a nebulizer. I never received an official diagnosis; just the thought that I probably inhaled too much sea water. When my oxygen levels were back to normal, they sent me home with antibiotics. I decided to sign up for another swim clinic the following weekend. Before the clinic, I went out to the ocean again in my wetsuit to get better acclimated to the cold ocean temps. My second swim clinic went great and I felt ready for the Tri. On race day I started running into issues as I rounded the second buoy. The same fatigue I felt in the first swim clinic kicked in, my breathing was labored and again not in line with the effort I was exerting. I flipped on my back and eventually made my way back to shore. Completing the bike and run portion was one of the hardest things physically that I've ever done. I could barely breathe and wanted to quit so many times. I pushed through and managed to cross the finish line. Since I hadn't inhaled any water this time, I knew something else was happening. At this point, I felt like my days of completing Triathlons were done. After many hours over the span of a few years googling my symptoms, I finally stumbled upon an article with the right diagnosis. "Swimming Induced Pulmonary Edema" otherwise known as SIPE. A very rare condition that they don't have an official cause for, but it is believed the combination between the tightness of the wetsuit, over-hydration and, cold water temperatures may be the trigger. A few years after the Tri, I met my friend Kristie. She's an amazing open water swimmer who convinced me to get back out there and give it another try. She has the patience of a saint. Some days we'd go through the process of putting on wetsuits only to be out there for 5 minutes as I got comfortable acclimating and putting my face in the water. Working with her my confidence swimming in open water has grown. I had a few mild cases of SIPE, when I first got back out there, but last year I managed to train for and complete my second Half Ironman without having one episode, so I feel like I have a pretty good grasp on it now. The warm-up swim is vital and I always start in the back of the pack and take my time slowly building up momentum toward the end. I have also completed the Tri for a Cure twice since then. I managed to place 2nd in my age group one year, which is a feat I never would have dreamed possible. How does living an active and healthy lifestyle improve your day to day relationships with family, friends, co-workers? My kids much prefer post-run mum compared to pre-run mum! I always feel better and have a clearer head after working out. My family has been massively supportive, particularly my husband and son both of whom have spent many hours in all types of weather at events just to see me for a few seconds on the course. It's amazing the boost you get in a race for those few seconds that you see the smiling faces of your loved ones. Their support means the world to me. 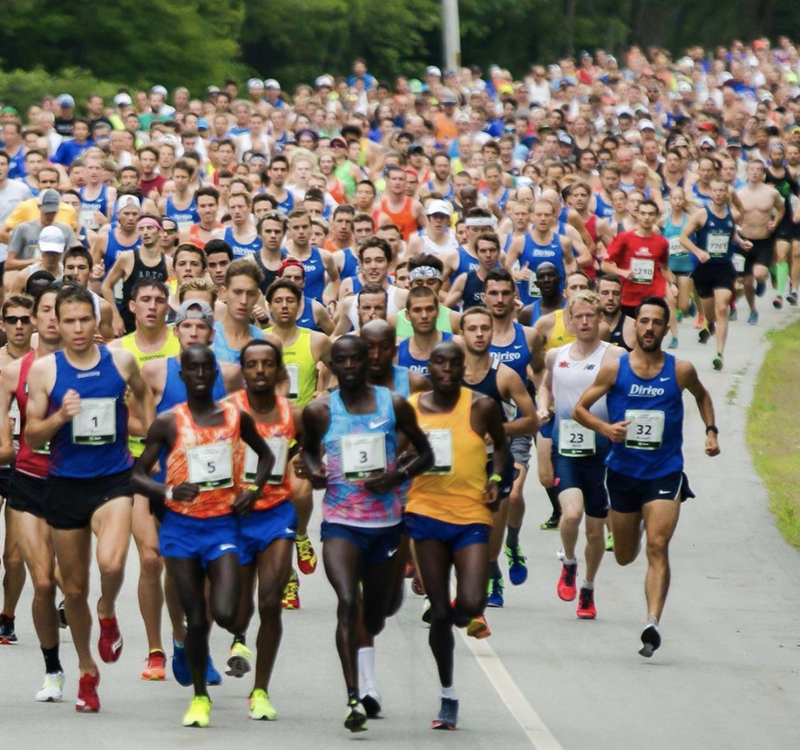 What is something you think all runners have in common? I believe most runners are goal driven and want to see results. In order to see results you have to put in the effort. Our drive to achieve those results overpowers any excuses we conjure in our heads not to complete a workout, enabling us to just get out there and get it done. What is one challenge and lesson learned from your training? I have had my share of injuries over the years. Some of which were likely made worse by my continuing to run through the pain. I've learned to listen to my body and to stop when something doesn't feel right. Rest days are a challenge for me, but I've come to realize that they are vital to reap the benefits of training and to help prevent injury. How important is having a daily routine and setting goals for yourself? Daily routines and goals are important as it gives me the drive to complete what I have set out to do. If I don't complete it, I feel a sense of failure. I like to have everything ready for the day in hand and also having a back-up in place is important when things like the weather throw a wrench into my initial plans. What is one piece of advice you would offer to someone who thinks they could never run, bike, swim, or become active? Aside from running what other activities do you enjoy? I love the beach and spend many hours there in the summer. I also enjoy crossword puzzles, traveling, being a spectator at my son's sporting events and spending time with my family. What is your favorite running app? Strava is my go to App. It's user-friendly and it allows you to connect with other runners and cyclists all over the world which is a really cool feature. I also rely on Zwift, a virtual riding app to help keep me sane whilst biking inside during the winter months. What are some races on your horizon? Boston Marathon? A full Ironman? I hope to get a spot in the Tri for a Cure again this year. I do have Boston on my bucket list and running the London Marathon would be awesome too. I haven't 100% ruled out a Full Ironman. I am still on the fence. Training for an event like that is pretty intense, so I'd need to find the right time in my life where I feel I can put in the effort needed to become fully prepared for it. On a personal level it's tough for me to pick just one moment. Every time I complete an event that I've invested a lot of time and effort in, I feel proud. They all took hard work and there's not one that stands out to me more than the rest. I actually feel more accomplished when I experience success as a team. Of all the races and triathlons I've done over the years, one of my favorite races is the 4 x 100-meter relay that we competed in at States for the Corporate Track Team last year. As the four of us toed the line and eyed up our competition, I don't think any of us anticipated a win. I was lucky enough to be on the anchor leg of that race. When I saw my teammate approach me with the baton first, I knew I could bring home the win for our team. Seeing the excitement on the faces of my teammates as I crossed the finished line was the best. That win was far more gratifying than any of my personal achievements. On a professional level, I have always given 100% in every job I've had. With that work ethic I have been able to work up the career ladder over the years. I have been with the same company for over 12 years now. To me this is an accomplishment in itself. Staying true to my British roots – "Keep Calm and Carry on". I've found myself reciting this, whether I'm dealing with a personal issue or if I'm struggling during an athletic event. Panicking doesn't accomplish anything, but keeping calm does. This quote has helped me avert many a potential freak out moment! So, of course, I was instantly drawn to Carr Eats Instagram account! Carr Eats prepares & delivers healthy meals to match your nutritional and active lifestyle needs. It's my pleasure to connect and introduce you to Christina Carr, founder + owner + chef of Carr Eats! In it’s simplest form - Carr Eats is a prepared meals business. Each week we cook + package fresh (not frozen) nutritious, great tasting, fork ready meals. We’re a catalyst for greatness beyond food…! We give you more time to do what you love outside of the kitchen and the belly power to get you there. What inspired you to create Carr Eats? I love eating!! But I love feeding people even more. I’m also a big self experimenter (if that’s a thing), so these worlds kind of collided for me when I was playing around with my diet at home; I have to credit my plate for some powerful life changes. Prior to Carr Eats, I was working in pharmaceuticals and I would see all these sick people; it was eye opening to realize how malnourished we are. People are eating and consuming calories but not getting any micro/macronutrients. I got it in my head that if I could show people how good they could feel from REAL food, I could maybe save them a doctors visit… or maybe get them off a few pills. Carr Eats was a personal mission that turned into a business once I stumbled across this huge need. What do you do outside of work that directly impacts your career? Fitness. Fitness. 100% fitness!! I've always been physically active but didn’t take my overall wellbeing seriously until a couple years ago when I started Crossfit. We had just finished renovating our house, a period where I did nothing to take care of myself. I wasn't eating great, I wasn't sleeping great, I was always thinking about work... I was a little depressed. Fitness was (really) really low on the priority list. I was at a point where I was sick of hearing myself make excuses. Focusing on what my body can do has given me a new outlook! Fitness has impacted my life in a profound way. What I eat matters. How I sleep matters. Fitness fuels the passion for what I do. I want everyone to experience what it’s like to appreciate their whole-self. For me?! Very!!! No one would ever label me as a spontaneous person. I’m very methodical and enjoy streamlining routines to maximize efficiency. I basically do the same things in the same order daily. I budget time for the occasional variance/exception, but for the most part, I’m very routine. Very organized. It’s a term I’ve coined the “3B” rule. This may sound silly, but I go to the same grocery store weekly - at some point, I realized I was struggling to remember where I parked (like every time). This is a stress I didn’t need and something that had an easy fix! So now I always park in the same lot… 3B! I try to apply this in as many places as possible. As a small business owner, I have a ton going on, so routines save me from mistakes and reduce anxiety. Predictability is good!! What is one challenge and one lesson you’ve learned from your experience as a founder? Challenge: Everyone has an opinion. Lesson: Ditch your ego. Arrogance + complacency are easy traps to fall into. Try to learn + grow from every experience (you will mess up - own that). Collect people in your life that are experts in their field; surround yourself with people who support, motivate and challenge you. Can you give us one invaluable resource that has helped you in the development and growth of Carr Eats? Fork Food Lab (Portland, ME). Without a commercial kitchen, I wouldn’t have a food license. Without a food license, there wouldn’t be a business. I’m always thinking about the next step and naturally, that would be to operate my own space, but Fork saved me when I didn’t have a place to go… when I was testing my concept and couldn’t afford to throw down 100k on a build-out. The timing was perfect, they were opening just as I was starting my brand, so it was really a lucky coincidence. "Maine's Shared Kitchen and Tasting Room"
What are your top two CE memories thus far? I love to hear how my meals have changed lives. I have one client who thanked me and shared how her doctor asked what she was doing because she had made such progress in her health. She disclosed that she was off several medications because of my meals and feeling like she was in the best shape of her life. This is a recurring memory, but I really enjoy remembering every morning, that THIS is what I get to do today. I don’t think this feeling will ever get old. Literally opening your eyes each day and getting to contribute to a cause that you are personally invested in. It’s more of a question than a quote, but its something my father would say to me when I was in a tricky spot. “What are your choices here Chris?” I repeat this to myself constantly. It's a reminder that even in the hardest of times you can create options for yourself. It's a reminder that you always have the power to change your perspective. This has been invaluable on countless occasions. Haha! Let's call it persistent! If you enjoy this blog consider entering your email for future blog updates, free motivation tips and news about our launch. Mindbosa is a free web app to encourage saving money mindfully. Yes! Thank you! Check your email! What is Eastern Shore Training? Eastern Shore Training (EST) is an online coaching service for runners of all ages and ability levels. How old were you and what influenced you to start running? I first started running in middle school as a member of the school cross country team because I wanted to do a fall sport and I wasn’t really that good at soccer (football wasn’t offered). Can you give us a bit of your running history? 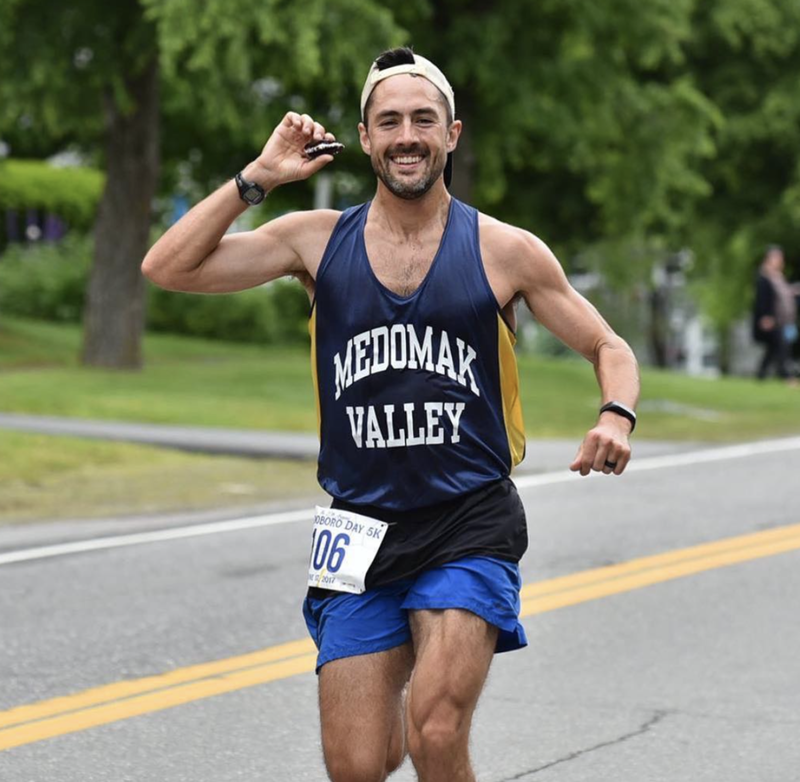 I stuck with running through high school with the support of my friends and family and had some additional running success when I started attending the Maine School of Science and Mathematics in Limestone. From there I participated on the XC and indoor and outdoor track teams at Bates College until the winter of my junior year when I stopped doing extracurriculars in anticipation of the birth of my daughter, Juliette. Between December 2003 and December 2006 I really didn’t run or exercise much at all and put on 60+ pounds. In December 2006 my friend and I set a goal of doing the 2007 Chicago Marathon and I’ve been running consistently ever since. Having that three year off period has helped me really appreciate the physical, mental and social benefits that running provides for me. What is the next race on your horizon? The 2017 Philadelphia Marathon on November 19th. How does running impact your everyday life? It impacts everything I do, directly and indirectly. Directly, it is an important part of my daily schedule, something I schedule most other activities around, and I, of course, spend time every day conducting coaching activities. Indirectly, running has played a part in my marriage (I met my wife at a road race) and my social groups (many of my friends are runners). To me, it’s very important, but I’m very much a Type A, right-brained type of person who thrives on having a schedule. Just writing down the tasks I want to complete for the day on a small notepad is a very therapeutic activity for me, even if I don’t accomplish all those tasks by the end of the day. What is your best running experience? 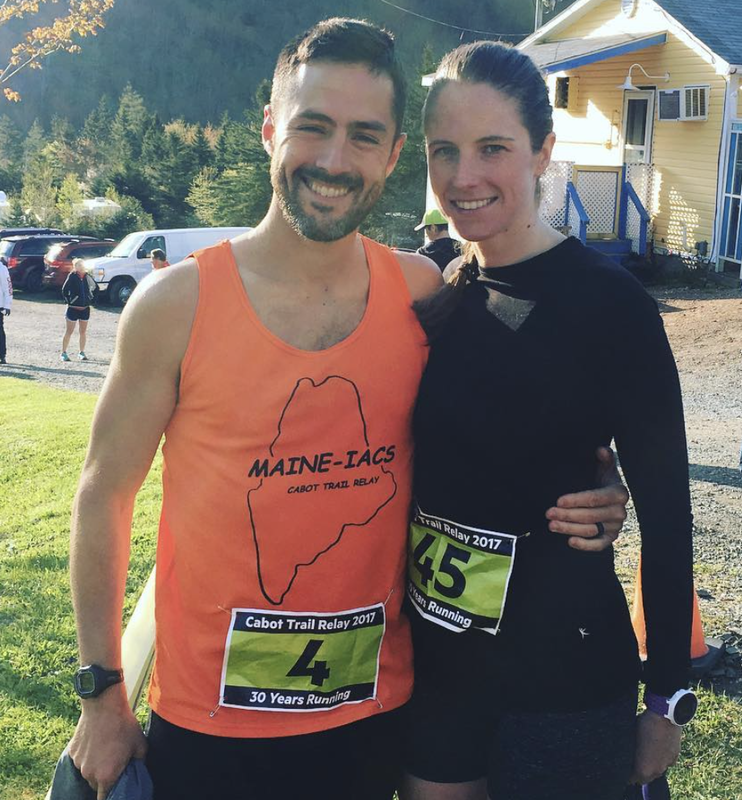 Running and winning the second leg of the Cabot Trail Relay in 2014 and proposing to my wife right after I finished. What is your worst running experience? Watching from the sidelines while the Bates College Men’s XC team qualified for the NCAA Division III National Championship during my senior year. If you could offer one piece of running advice, what would it be? When you’re just starting out running or getting back into running from a long layoff, the hardest part is the beginning. Everything gets dramatically better from there. Strava. It’s a very efficient and user-friendly app and offers a lot of utility and social networking opportunities. 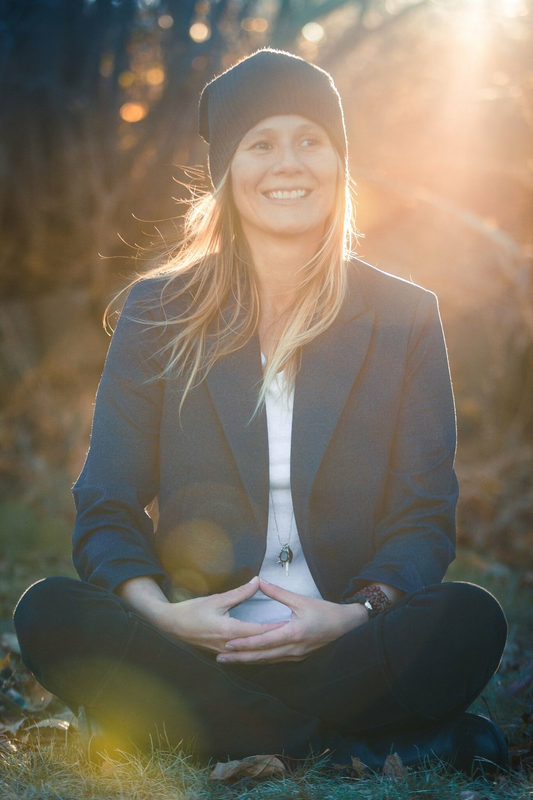 Riverbend Yoga is a midsized, women owned and operated yoga and meditation studio in Yarmouth, Maine. We focus on the breathe and body connection while practicing traditional asana/yoga postures. Our class options range from beginner to advanced flow, meditation, yin, power yoga, and everything in between. We are conveniently located right off exit 15 on Route 1 in Yarmouth, just 12 minutes north of Portland. What inspired you to become the Studio Manager of Riverbend? I was inspired to become a yoga teacher because of the many healing benefits of the practice, physical, emotional, spiritual, even mental. I fell into the management position due to drive and determination and my passion to share this practice with my community. 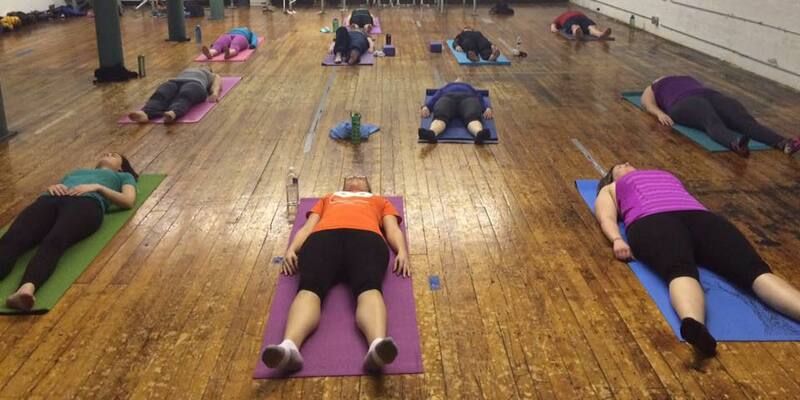 My business partner and I work very closely to make yoga accessible to everyone. What is one challenge and one lesson you’ve learned from your experience as Studio Manager? The major challenge would be facing the fact that I can not please everyone. This is NY yoga, daily. As an empath, I am always in others shoes and wanting to cater to their needs. I suppose one lesson I have learned through yoga but also through my position running Riverbend, would be to stop and think before reacting/responding. What are your top 2 favorite Riverbend memories? I remember the very first class I taught at Riverbend and the nerves hitting every inch of my body. Since then, the space has grown into a sanctuary and support and healing for me. I am looking forward to building new memories over the years. What is your favorite inspirational/quote? "Before you speak, ask yourself: Is it Kind? Is it Honest? Is it Necessary?" 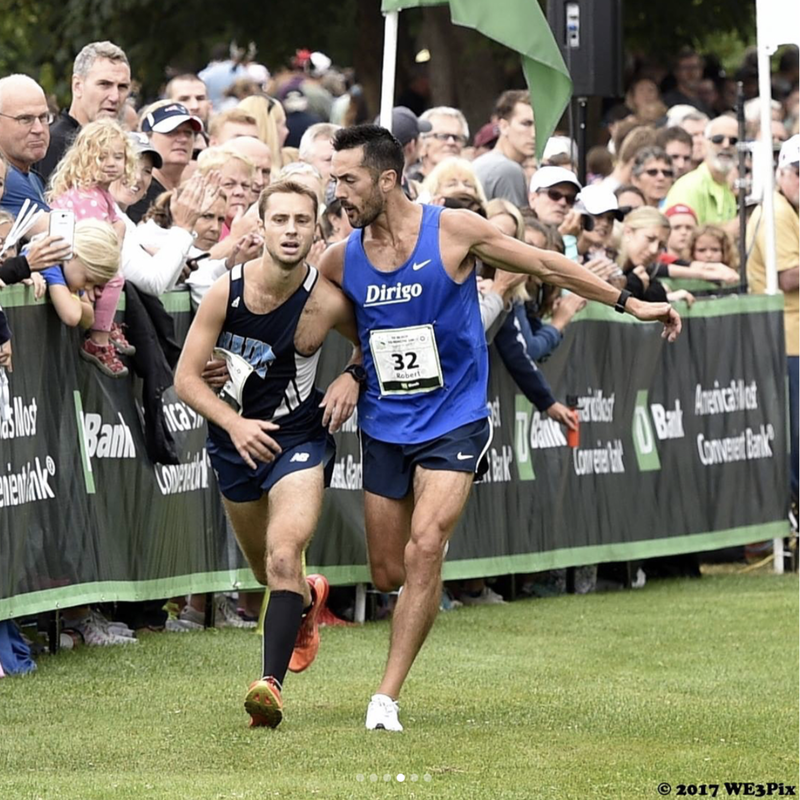 Justin Horneker - "Changing the Running World - One Individual At a Time"
LK Weiss - Founder of Portland Design Co.
What are PortSports & Blue Star Pilates? PortSports is a charity-based sport and social club for adults based in Portland, Maine. Blue Star Pilates is my venue for furthering my own Pilates practice as well as teaching others the Pilates method. What inspired you to become the founder/owner of PortSports & Blue Star Pilates? When we first moved back to Maine in the summer of 2007 after our son was born, my husband and I were having a hard time meeting people our own age and making friends. We revisited an idea of his from our time living in NYC, to start a sport and social club, here in Portland, Maine. We launched PortSports in the Spring of 2008 and have been playing ever since. My love for Pilates began once I made the commitment to regain my strength and figure post-baby. Pilates helps me not only stay fit, but it is also a meditative practice for me. By focusing inward, on how the movement feels within, all external factors disappear and when the session is over, I'm left feeling incredibly rejuvenated. I want to bring that feeling to others, and learning to teach has been exciting and humbling in itself. What is one challenge and one lesson you’ve learned from your experience as a founder/ownder? The challenges and lessons are abundant as a founder (and owner). With PortSports, one of the biggest challenges has been keeping the vibe of our sports social and inclusive. Often in sports, people let their competitive nature get the best of them, which can turn people off to playing. Our goal is to provide a safe space to play hard, but with respect for not just teammates, but opposing teams and staff members as well. With Pilates, I'm learning to trust the learning process. Pilates teachers are traditionally taught apprentice-style, so there is quite a large time and financial commitment to becoming a fully comprehensively-trained teacher. Learning a new skill, and then to be able to teach that skill to others with clarity, has been a huge but fun challenge to undertake. What are your top two PS & BSP memories? 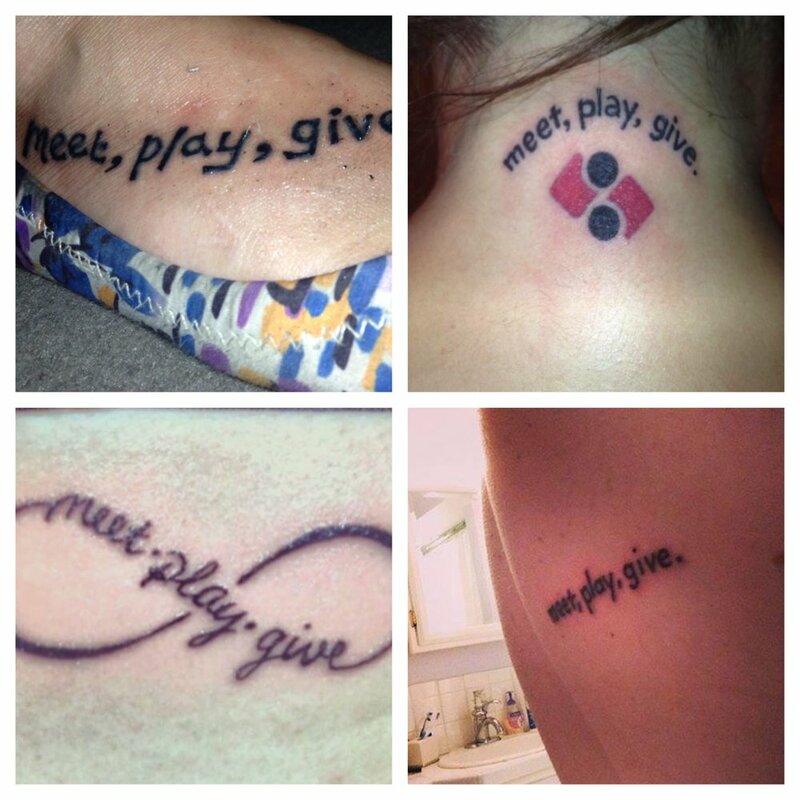 My top PortSports memory...it's hard to pick...we have 4 PortSporters with our motto or logo tattooed on them, and have had several PortSporter weddings. Hearing the stories of friendships that began with either a PortSports event or league are my favorite. My top Pilates memory was launching my first class after my training and feeling the support of my new students. Watching people move and feel good always makes me feel good too. My favorite inspirational/motivation quote would have to be "stay positive and love your life," by my favorite band, 311. Describe myself in one word, holy moly what a challenge, looking back on my past 10 years, I would say "driven." INKnBURN is a small family owned business operated in Southern California. INKnBURN designs and hand-crafts athletic apparel in the USA. INKnBURN produces unique and high-quality athletic wear that can be worn for running, yoga, cycling, to the gym, or even casually. I purchased my first piece in August of 2015 and wore the capris for the Chicago Marathon in 2015. I was SOLD! Since then, I have run a total of 6 marathons, all wearing INKnBURN. No chafing, comfortable fit, and stays in place and each piece/design is very unique. "INKnBURN produces unique and high-quality athletic wear that can be worn for running, yoga, cycling, to the gym, or even casually." What inspired you to begin running? In May of 2013 I decided to start walking and wanted to lose weight. By July, I was walking at a fairly fast pace, 13-14 minute miles. I was fortunate to have a large private place and just decided I would try to run. I didn't want to run in front of anyone because of my weight and also because I was still smoking at the time and would get winded in a very short amount of time. The run/walk intervals continued through July and in August, I ran 5 miles straight! I can remember the day like it was yesterday. I came home and cried, so proud of my accomplishment. My husband came home from work that day and I told him I decided I wanted to run a half marathon, that surely if I could run 5 miles I could run 13 but I would have to quit smoking. I set my mind to it and I quit smoking in October 2013. After I quit, I rewarded myself by signing up for my first half marathon. I ran my first half in April 2014. I have since run 18 half marathons. Between October 2015 through January 2017, I ran 6 marathons. 2017 has NOT been my year. I was running everyday, at least one mile outside. In February my streak came to a halt after 959 days. I was having terrible foot pain and doc thought I had a stress fracture. It ended up being plantar fasciitis. He told me no running for 3 weeks so I took up swimming and biking. I was able to resume my running in March and ran a half in May. I was signed up to run the Chicago Marathon for the 3rd year in a row. On May 26th, I was with my family and missed the step up on the curb, down I went. A total of 3 breaks and dislocation in the left ankle. I had surgery on May 27th. I was in a cast for 7 weeks, and in a boot for 5. Non-weight bearing for 12 weeks. I saw the doc on July 14th and he released me to swim so I have tried my hand at aqua-jogging and some swimming and so far so good. I see the doc again on August 18th and hope he releases me to bear weight. I will have to go through Physical Therapy. I had to defer my entry in the Chicago Marathon this year but I am hoping for a come back at Ragnar SouthBeach in November and the Dopey Challenge in January. I know I have a long road ahead of me but I am always up for a challenge. How has running impacted your personal life and career as a nurse? Running has impacted my personal life in many ways but one of the most important was it gave me the determination I needed to quit smoking. In regards to my career as a nurse, running has helped me see the true importance of living a healthy lifestyle so it is easier to truly "practice what you preach" with my patients. What are one challenge and one lesson you’ve learned from your training? One of the biggest challenges with training is dealing with the weather and making sure I have time and safe conditions for the long runs. I have learned to trust the training, if you put in the work, you can make it to the finish line! What are your top two favorite race memories? I would say the most memorable moments was crossing the finish line at my first half marathon. 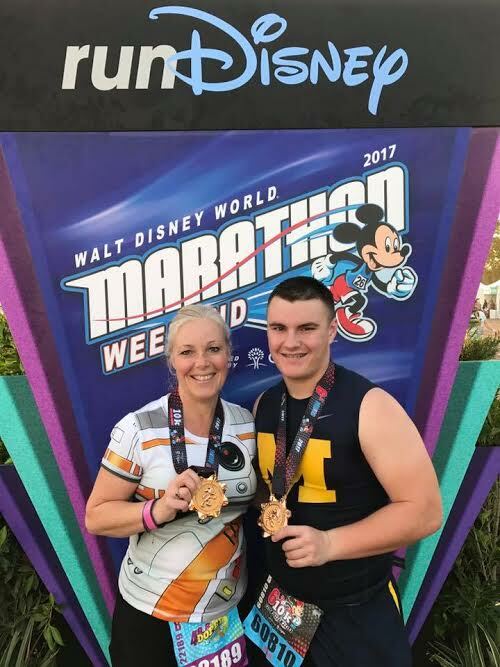 As a family, we went to Disney in January and my son ran the 10K with me and I ran the full marathon with my husband. It is wonderful sharing my running journey with the two people that mean the world to me. And as you will see by my pictures... 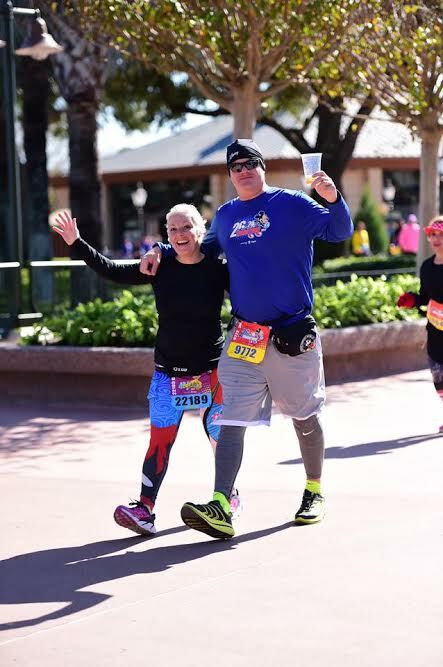 I love everything about Run Disney!!! If you could run anywhere in the world, where would it be and why? I am truly happy with running just about anywhere but I would love to spend some time out west because there is so much beautiful scenery. An Adventure Therapist facilitates activities such as rock/ice climbing, kayaking, backpacking, mountain/road biking, skiing, snowshoeing, rafting, winter camping, etc. to foster personal change and growth needed to achieve therapeutic goals. What inspired you to become a cyclist? My cycling roots run deep into my childhood tricycle that I literally rode into the ground. Evel Knievel was popular back then so later when I could ride a 2 wheeler I built jumps on a daily basis. So I guess I’ve always been a cyclist because I just love the sensation of riding a bike! What are one challenge and one lesson you’ve learned from your experiences in your practice? An ongoing challenge I face while leading adventures with disaffected youth is the “Leave No Trace” ethic. During trips, they might say they don’t care about the earth and may even lash out in anger and leave their mark. I’ve had countless debates on whether or not a gum wrapper constitutes as trash or not (the answer is yes, BTW). What I’ve learned is the change process in disaffected youth is frequently very subtle and barely perceptible as they don’t want others to know they are being influenced so they wear a mask of indifference. Subtle as it may be, I do see the change process happening and sometimes the change doesn’t manifest until days, weeks, months, even years later. Numerous times I’ve had students visit me years later and they rush up to excitedly tell me they went camping and carried out all their trash!!! 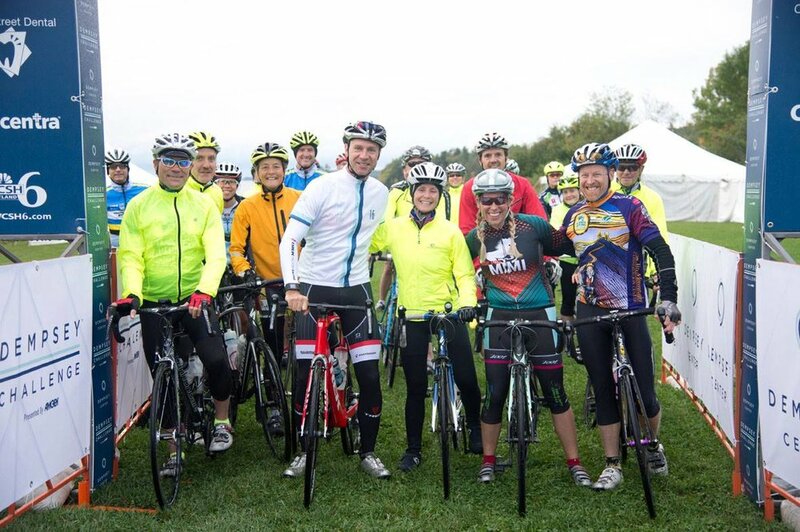 What are one challenge and one lesson you’ve learned from your experiences as a cyclist? 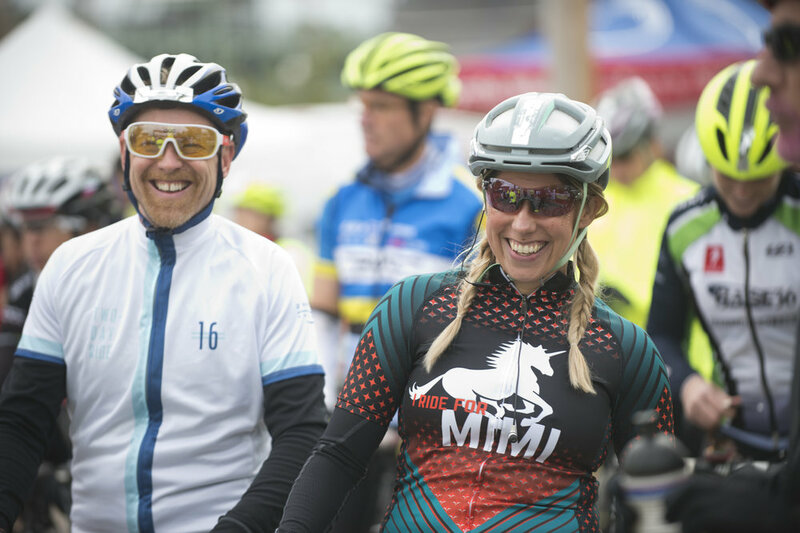 There are so many challenges I’ve faced: 100+ mile rides, racing up Mt. Washington, crashing, etc. I think the best lesson I’ve learned is that by embracing my weakness and that which I loathed the most, namely - climbing up long steep hills, I was able to turn my nemesis into my passion and strength as a cyclist. I did this by focusing my training rides on all the steepest hills I could find. After much pain and suffering, I can now say I love hillclimbs and it’s my strength as a cyclist! What are your top two favorite cycling Memories? 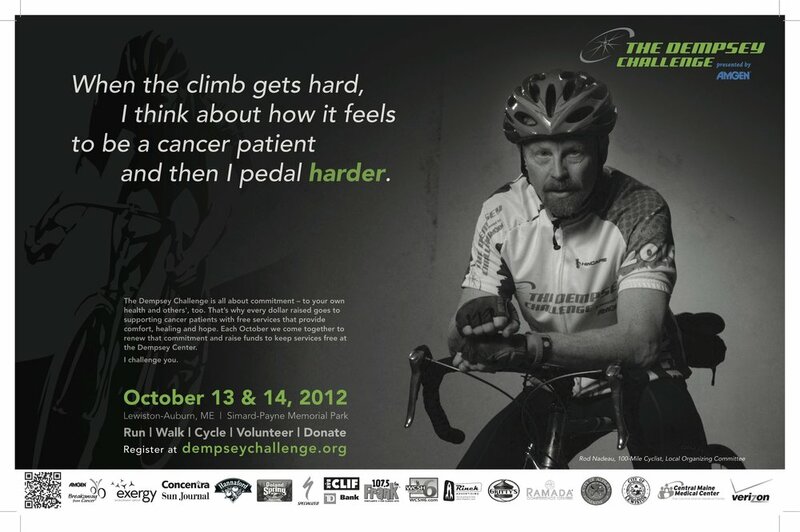 First: I’ve helped organize and ridden the 100 mile Dempsey Challenge since its inception in 2009. 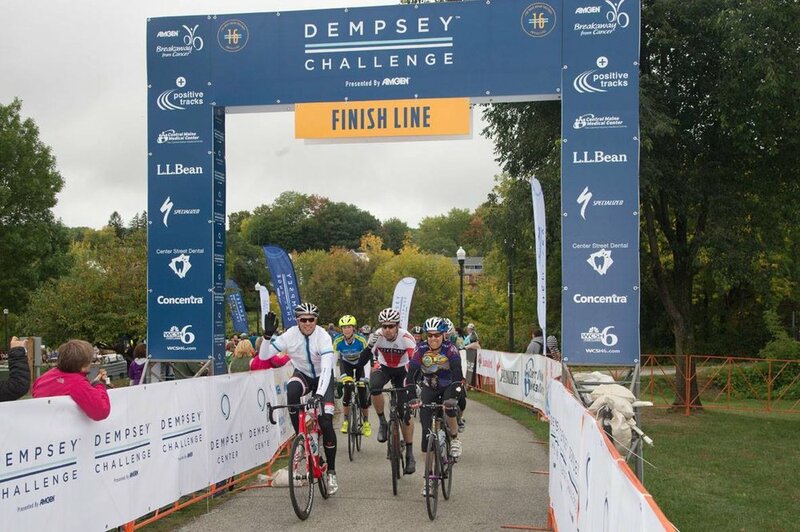 This event has raised about a million dollars each year to support the Dempsey Center for Cancer, Hope, & Healing so that cancer patients, their families, and caregivers can get support services free of charge. 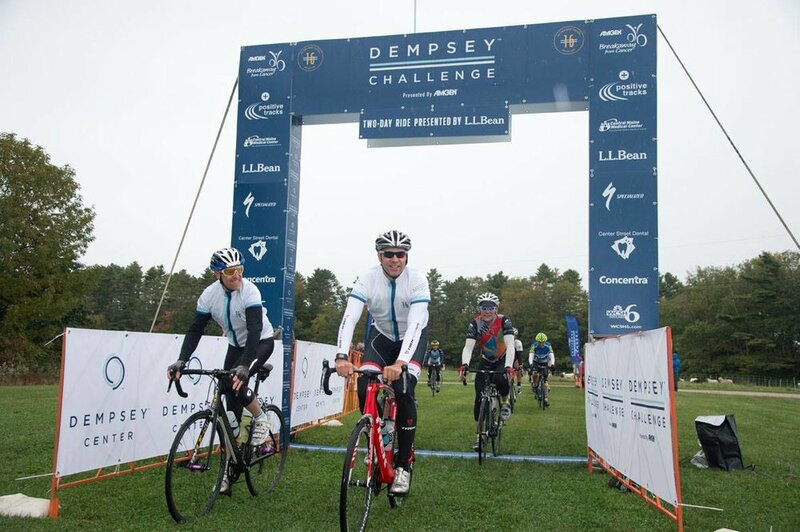 The 2017 #DempseyChallenge Two Day ride: Oct. 7-8 For more information visit: The Dempsey Center, "a leader in quality of life care for individuals and families impacted by cancer." Second: It was my first time climbing Mt. Washington on a bike. The climb is about 7.6 miles ALL uphill at 12% grade with extended sections of 18% grade, 2 miles of dirt road, and the finish is an S turn up 22% grade! Translation: So steep that every year cyclists flip over backwards. In hillclimb training, nothing compares to the actual experience of riding up Mt. Washington. Everything is either a shorter climb or not as steep - even Mon Ventoux & Alp d'huez in the Tour de France are easier climbs. This means all your training is on hills that really don’t compare to the magnitude of Mt. Washington which makes race day a true mystery and adventure in how your legs will perform! 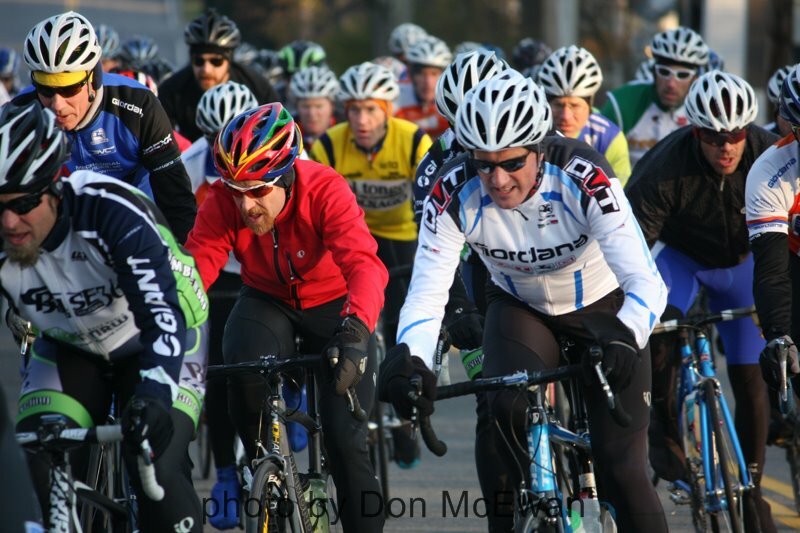 I started out in sunshine with temps in the high 50's. Then ascended into a cloud covered, 39 degree summit with visibility of~100ft. At about the halfway point when I reached 4000 feet, the winds were blowing at 35-50 mph. I almost got knocked down a few times. At one point I was a foot away from tumbling down a 1000+ foot ravine, but was able to make a last second correction leaning into the wind. The finish has a back breaking S turn with a 22% grade (that’s as steep as a staircase). I had enough in the tank for a sprint finish and made it to the last corner about 50 feet from the finish line when I got blown off course so far I had to do a U turn and came about two inches from going off the road and crashing! Wind chill on the summit was 11 degrees. The climb took everything I had and to say it was a max effort the entire 7.6 miles up would be an understatement. I was toast at the finish but overwhelmed with a sense of accomplishment. After finishing I was hot and sweaty from the sustained max effort, but within a few minutes after I got off my bike, I was chilled and shaking so badly I had trouble getting warm clothes on. I could not zip up my jacket because I was shaking so violently – that was an unexpected challenge! Overall, Mt. Washington is said to be the most punishing hillclimb in North America and Europe (some say the world, but I doubt that), and then you add 35-50 mph winds blowing you DOWN the mountain - can you say pain & suffering? How do you motivate yourself to get back on the bike the day after a hard ride? I tell myself I will feel better and enjoy the ride as soon as I glide down the driveway. I tell myself after 15 minutes I will feel good. If I don’t feel good after 15 minutes, I can turn back. I also know and tell myself that active recovery is one of the best ways to recover. 99% of the time I feel so much better after I roll on the bike! Addendum: When I reflect on my bike rides up the Mt. Washington auto road - I recall searing pain and suffering like an animal while contemplating the stupidity of choosing to torture myself in the midst of hovering on the brink of puking in the type of effort so horrific both mentally and physically in a ride up the mountain that even Sisyphus would find insufferable in comparison to his lament - meanwhile luxuriating in the true existential angst of knowing that putting a foot down on pavement (quitting) or dirt (yes, there's 2 miles of 12% gradient dirt! Translation: steep as anything you’ve ever ridden a bike up) I not only fail in my goal of not putting a foot down (quitting) but realize that I might not be able to get going again as most racers who stop lie agonizing on the side of the road unable to continue. As I climb, turning myself inside out and tasting blood in the back of my throat, I pray that I am spared the wrath of those who cramp up and scream in agonizing pain on the side of the road, retching in utter torment. There is also a historical aspect in the amount of training and time needed to minimize the duration of this exquisite horror, and the sacrifices my family endures while I’m away on the bike for countless hours while their father/husband is absent. You ask why do I crave this unbearable hell? Like George Mallory said not long before he died on Everest when asked why does he do it? Because it's there… As absurd as this may be, as soon as I finish, the profound sense of relief from pain and suffering along with a flood of positive feelings of accomplishment, I have an exhilarating feeling that it was an awesome ride, so glad it’s over, but can’t wait to do it again! “It’s not a Challenge if it doesn’t Change you” -Rod Nadeau, Ph.D.